President of the Papua New Guinea Olympic Committee Sir John Dawanincura praised Trukai Industries for making last Sunday’s Trukai Fun Run event possible. 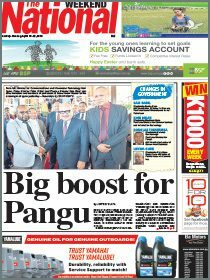 He also acknowledged the support of Air Niugini, IBS University and National Capital District Commission as well as other key partners of Team PNG in 2017. He thanked Trukai Industries for sponsoring 100,000 shirts for the event this year and acknowledged the organisations that purchased the shirts. Sir John said the Fun Run needed the support of the corporate community. Governor-General Bob Dadae, who joined in the Fun Run, was pleased to see a large number of people turning up to support Team PNG. “I believe in the good health of our people and activities such as this encourage a positive lifestyle,” Dadae said. “The Fun Run does more than just bringing us together for a walk or a run. It unites us for a common cause. This year Team PNG will be attending three events – the Commonwealth Youth Games in Bahamas, the Asian Indoor and Martial Arts Games in Ashgabat, Turkmenistan, and the Pacific Mini Games in Port Villa, Vanuatu. Funds raised from the sale of the T-shirts will assist in the preparation and participation of team at these events. The Trukai Fun Run this year saw 10 centres nationwide taking part with all centres including Port Moresby and Lae completing their activities last weekend except for Mt Hagen which will host theirs on Sunday (June 18). 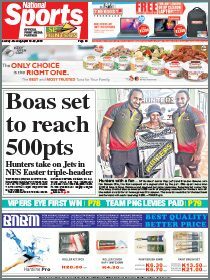 The event held in Port Moresby last Sunday was a huge success with more than 30,000 city residents turning up for the event which started at 6.30am. The Trukai Fun Run is a major annual fundraising event for the Papua New Guinea Olympic Committee which raises much needed funds for Team Papua New Guinea athletes to participate at various international sporting events this year. Participants also had the opportunity to see and listen to North Queensland Cowboys duo, Brent Tate and Matt Scott, answering questions about rugby league and their Trukai rice experience.